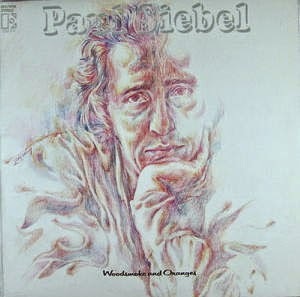 Paul Siebel is an American singer-songwriter. Paul Siebel was born in Buffalo, New York in 1937. He served in the military before moving to Greenwich Village to play the folk clubs in the 60s. He was signed to Elektra Records at the end of the decade, and his debut album was quickly recorded on a small budget, featuring backing from David Bromberg (guitar & dobro), Weldon Myrick (pedal steel), Richard Greene (violin), Jeff Gutcheon (keyboards), Don Brooks (harmonica), Gary White (bass) and James Madison (drums). Released in 1970, Woodsmoke And Oranges was an excellent album of rootsy country-folk, featuring all original songs. It sold little, but proved popular with critics and other songwriters. Indeed it included his best-known song, "Louise", which by the time of the album's release had already been recorded by both Linda Ronstadt and Eric Andersen, and would later be covered by many others. This made Me Lose my Blues!